Fellow Citizens, For years now we have dozed off at the wheel and it is time for us to pull into a rest stop, splash some cold water onto our faces, and regain our sense of civic duty & obligations. Let us go back into history and find out where we started this UNLAWFUL, and UNCONSTITUTIONAL ATTACK on our beloved Constitution. April 9, 1865 – Lee surrenders to Grant ending the US Civil War – The beginning of a MASSIVE USURPATION of Federal Powers over the Individual States. Note that no where in the ‘Terms of the Surrender’ does it mention any articles about any takeover of State’s Rights. It only placed the soldiers on parole & to agree to not take up arms against the US Government. I honestly can not believe, that with a war in progress, that the above listed states legislatures jumped on and Approved an act that was submitted to them by the US Federal Congress. 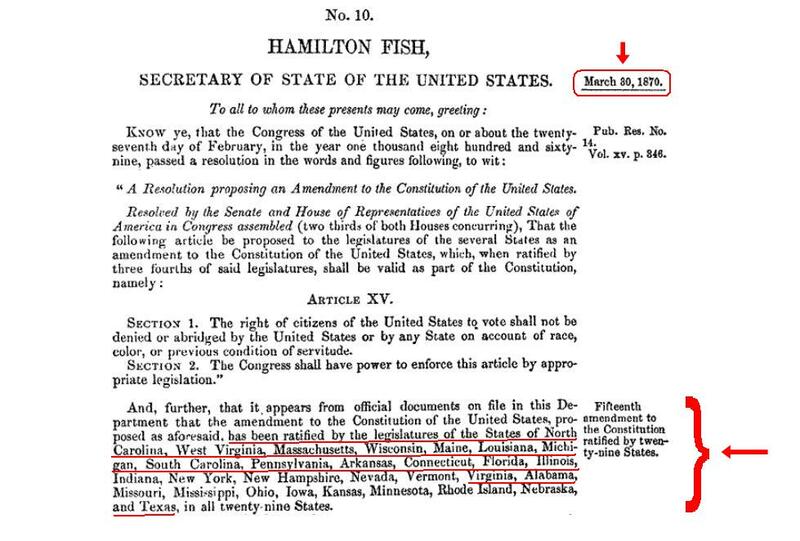 Besides, remember now, in February of 1865, the above listed states were NOT PART of the UNITED STATES any longer. They had all seceded and were part of the Confederate States of America. 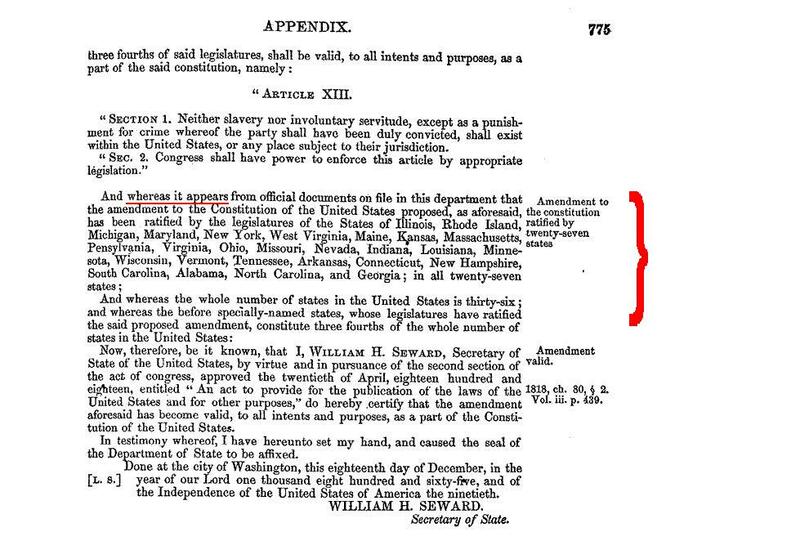 The 13th Amendment is NOT Legal at all. Then, on July 1st, 1868, Worth was removed from office by the US Military — Military Order 120 to be exact — and replaced with William Holden. 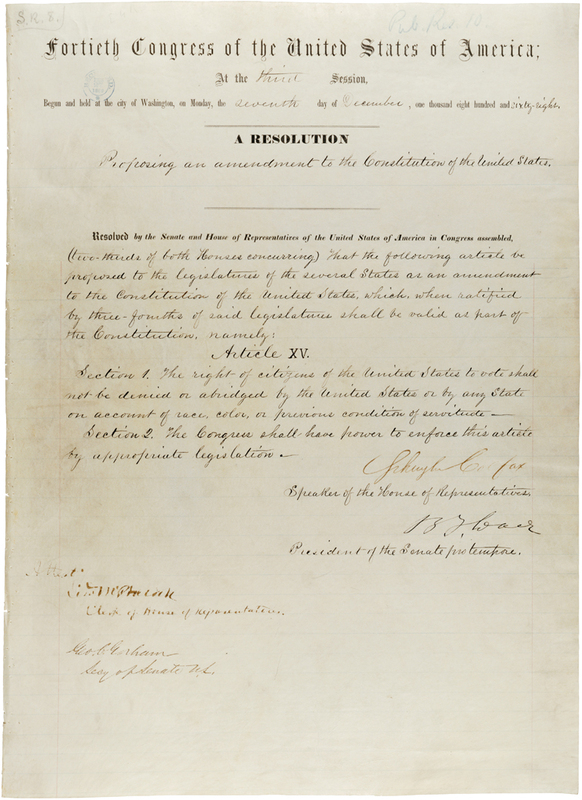 Then, in 1870, the 15th Amendment was ‘Supposedly Ratified’, however the returned documents, from the various states, were full of errors & some states had rewritten portions of the text of the Amendment. When you sign off on any contract between 2 parties, and it gets to its Conclusion, the 1st party can’t change one single word, or comma, or semicolon, or anything without the consent of the 2nd party. And visa versa. Any contract, or agreement, becomes NULL & VOID! More on this is listed later on in this post. 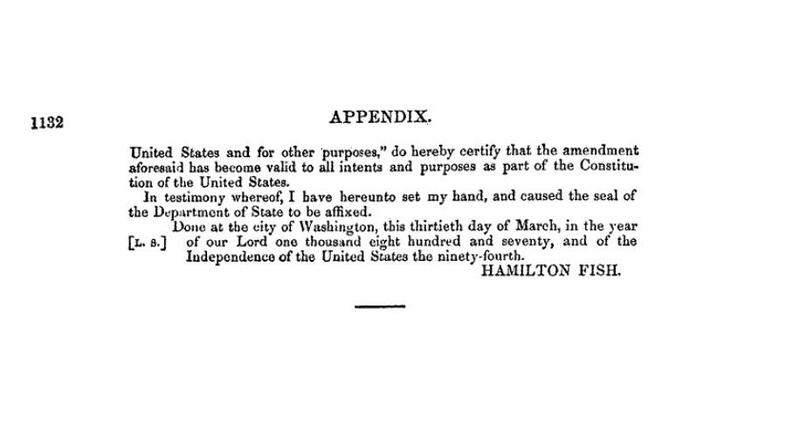 15th Amendment Senate Joint resolution 8. Click to enlarge. 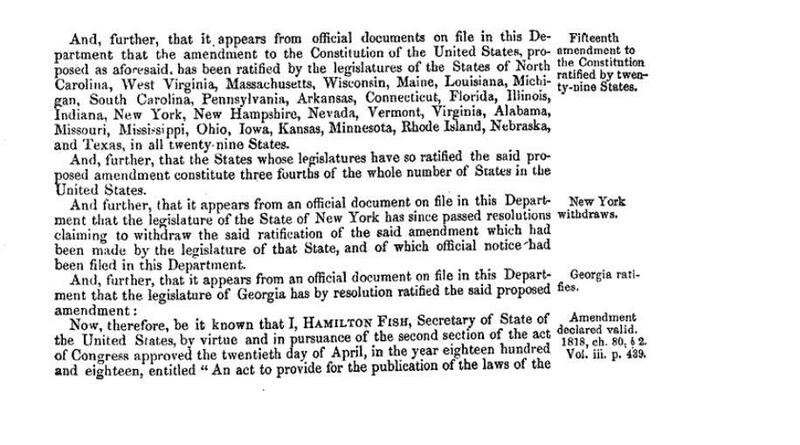 To be noted, The State of North Carolina’s legal government had been overthrown by the Feds in 1868. NC was no longer the 12th state of the union, it had become the 39th state. See the above info from ncrepublic dot org & the military order. This link below points out the errors and other items concerning ratification. I am going to stop at this point. I know I have given you fine citizens a lot of info to digest. In closing, I want you to examine the above material, and don’t just take MY WORD on it… do your own homework. You’ll find that it is the TRUTH, The whole Truth, and Nothing BUT the Truth! Our leaders today have been indoctrinated by lies & misinformation for years & years. Our Judges & lawyers do not know the actual law or how it came to be. All they know is what they were taught, by folks who were ALSO indoctrinated, by folks who were indoctrinated before them. It has been a real slippery slope for 150 plus years. I will probably generate a 2nd Open Letter in the near future. Stay tuned! Respectfully submitted by SilenceDogood2010 this Twenty Ninth Day of June in the Year of our Lord, Two Thousand and Fifteen. 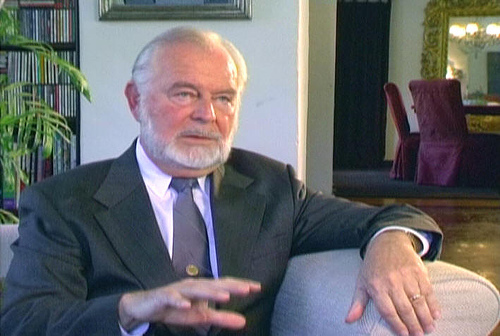 Published Nov 19 2012 — This address by G. Edward Griffin, given in 1969, is as current as today’s headlines. 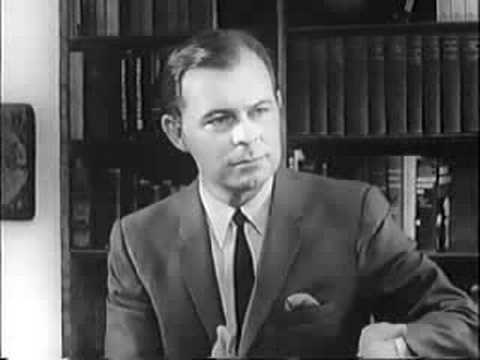 Mr. Griffin shows that the Leninist strategy for conquest involves two kinds of revolution. One is violent. The other is non-violent. While most people think only of violent revolution, the non-violent phase is where most of the action has been in the United States. 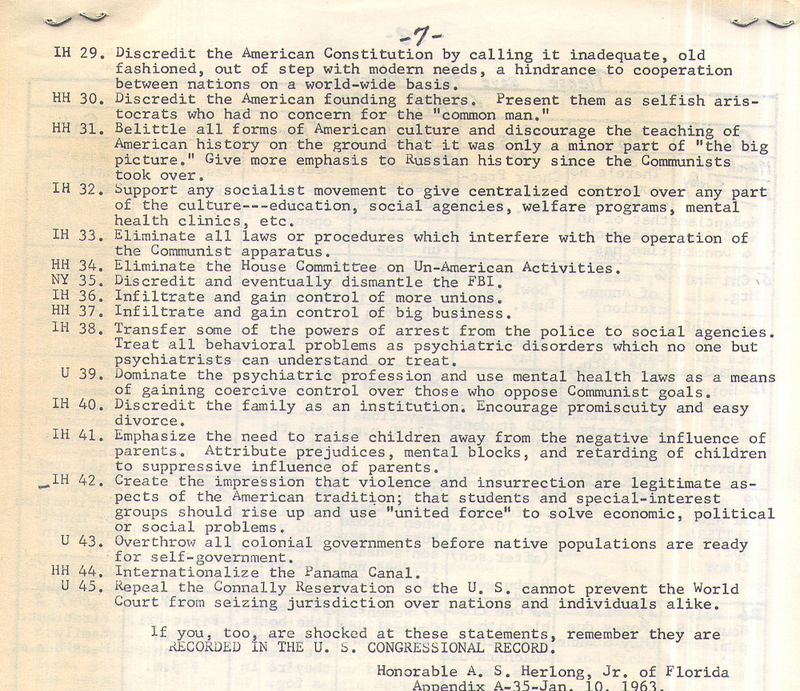 A.S. Herlong’s notes from his speech to the HOUSE on January 10, 1963 — The Communist Goals. This is Page 7. In case the link gets scrubbed, I am posted the 45 Communist goals below. Respectfully submitted by SilenceDogood2010 this Twenty Eighth Day of June in the Year of our Lord, Two Thousand and Fifteen. We have been dealt a blow. The recent 2 opinions via the Supreme Court is sort of like getting the wind knocked out of you. BUT — Don’t FRET & Don’t Panic — Yes we’ll catch our breath shortly and all will be fine. If you are NOT FAMILIAR with a young lady named KrisAnne Hall, you need to be. 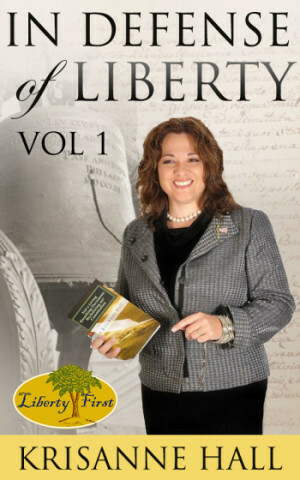 Please visit her website, listen to her podcasts & radio show, and follow her on Facebook & Twitter. 1. Stop signing ANY marriage license, even at the State Level. Do you believe that Marriage is a covenant between an man, woman, and God? Then you have to act like it. Refusing to marry by any government sanction is the ONLY way you will defeat this mandate in court. 2. Relinquish your 501c3 status IMMEDIATELY. You don’t need the IRS’s approval to be tax exempt. That comes from the Constitution legally and from our Creator naturally. Who is your provider anyway? Remember, you can’t serve two masters! 3. Start teaching your congregation to be God dependent instead of government dependent. Teach your congregation to stop marrying by license for government benefits. Teach your congregation to stop tithing for government benefits. Remember: seek ye first the Kingdom of God…NOT government benefits. Respectfully submitted by SilenceDogood2010 this Twenty Seventh Day of June in the Year of our Lord, Two Thousand and Fifteen. I stumbled across another WordPress Blog dated 2013. It lists the Crimes committed by Barack Hussein Obama / Barry Soetoro against the US. Constitution. Please visit the original site. I am copying / pasting the text ONLY in case the original gets scrubbed. • In direct violation of ACA Law ( Section 36B ) ordered subsidies be paid under Federal Exchange. Article. I. Section. 1; Article II, Section 3. 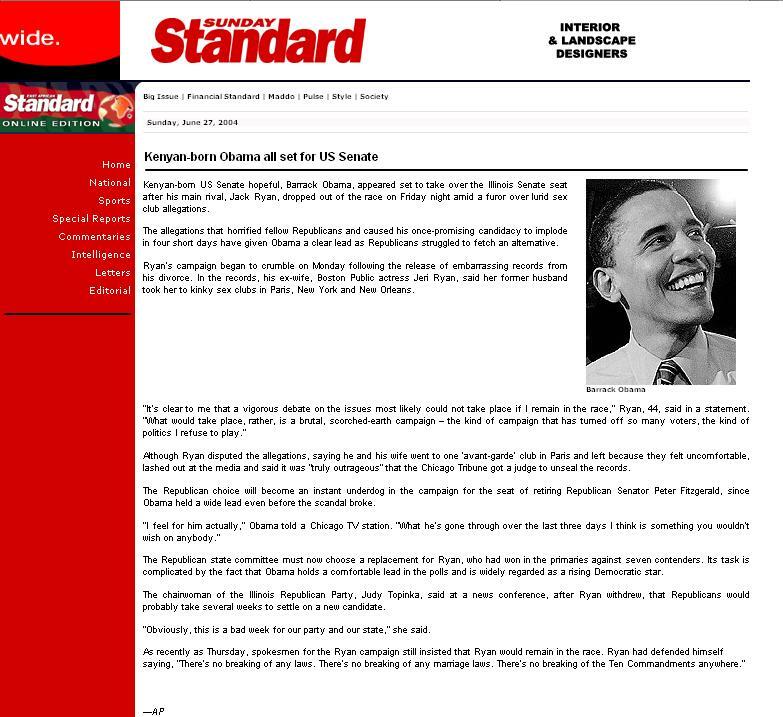 • *Entered Treaty Agreement with Iran without Advice & Consent of the Senate. No agreement (including one with the UN) is valid without 2/3 Senate approval. Article II Section 2. • Operation Choke Point program – Direct infringement on 2nd Amendment. • Using EPA to “legislate” over States, Congress, and Federal Court; Article II Section 3; Article I Section 8; Direct violation of Presidential Oath. • Used Executive Privilege in regards to Fast & Furious gun running scandal. When Government misconduct is the concern Executive privilege is negated. • 2 Executive actions mandating private health information on patients be turned over to NICS – Violation of HIPPA law. 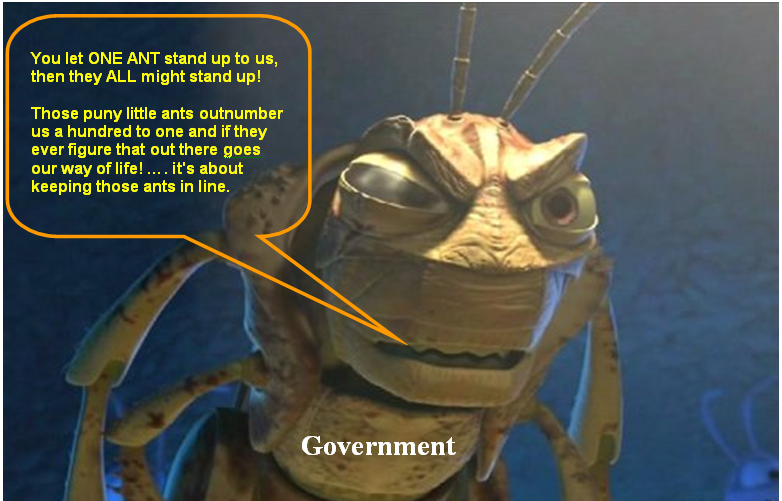 • Unilaterally issued new exemptions to immigration restrictions law that bars certain asylum-seekers and refugees who provided “limited material support” to terrorists. – Article 1 Section 1; Article I Section 8 Congress shall have the Power..to establish an uniform Rule of Naturalization. • Information memorandum telling states that they can waive the work requirement for welfare recipients, thereby altering the 1996 welfare reform law. – Article 1 Section 1, ALL Legislative power held by Congress. • Used NLRB to dictate to a business where they can do business. (Boeing Dreamliner Plant). No Constitutional authority to do so. • NDAA – Section 1021. Due process Rights negated. Violation of 3rd, 4th, 5th, 6th, and 7th Amendments. • Executive Order 13524 – Gives INTERPOL jurisdiction on American soil beyond law enforcement agencies, including the FBI. • Obama took Chairmanship of UN Security Council – Violation of Section 9. • ACA (Obamacare) mandate – SCOTUS rewrote legislation and made it a tax because there is no Constitutional authority for Congress to force Americans to engage in commerce. SCOTUS has no authority to Legislate or lay taxes. Article I Section 1 & 8. • Going after states (AZ lawsuit) for upholding Federal law (immigration) -10th Amendment. • The Independent Payment Advisory Board (appointees by the president). Any decisions by IPAB will instantly become law starting in 2014 – Separation of Powers, Article 1 Section 1. • Congress did not approve Obama’s war in Libya. 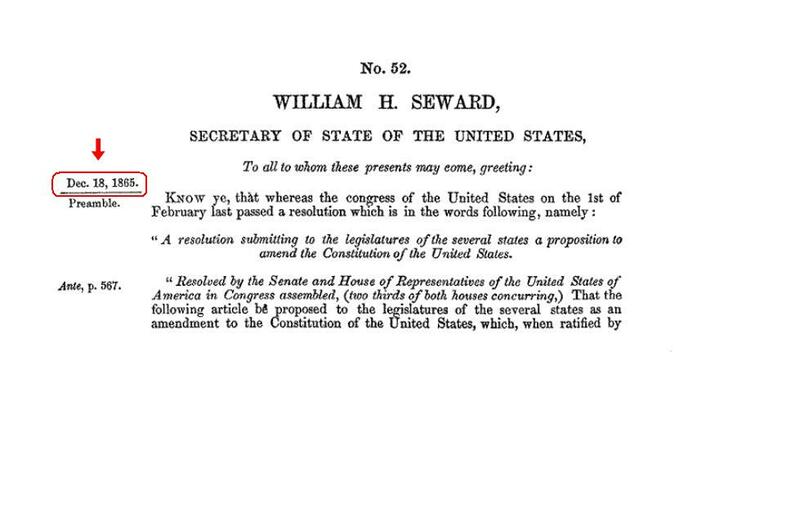 Article I, Section 8, First illegal war U.S. has engaged in. Impeachable under Article II, Section 4; War Powers Act – Article II Section 3. • Obama falsely claims UN can usurp Congressional war powers. 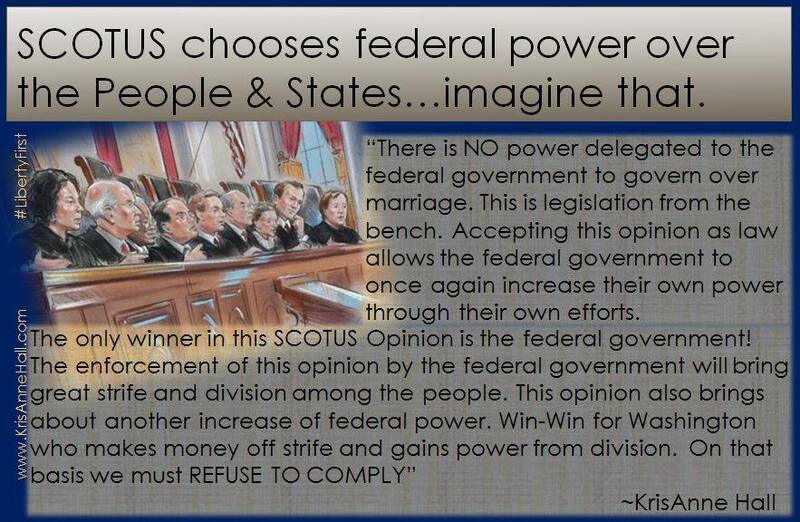 • Obama has acted outside the constitutional power given him – this in itself is unconstitutional. • Bribery of Senator Ben Nelson and Senator Mary Landrey. (Cornhusker Kickback and Louisiana Purchase) Article II, Section 4. • With the approval of Obama, the NSA and the FBI are tapping directly into the servers of 9 internet companies to gain access to emails, video/audio, photos, documents, etc. This program is code named PRISM. NSA also collecting data on all phone calls in U.S. – Violation of 4th Amendment. • Directed signing of U.N. Firearms treaty – 2nd Amendment. • Obama altered law – (A president has no authority to alter law) Delayed upholding the Employer Mandate Law (ACA) until 2015 – Individual Mandate will be enforced. A President does not have that authority – Article. I. Section. 1. All legislative Powers herein granted shall be vested in a Congress of the United States; The president “shall take care that the laws be faithfully executed” -Article II, Section 3; Equal Protection Clause -14th Amendment. • Obama altered law – ACA Medicare cuts delayed until 2015. Article. I. Section. 1; Article II, Section 3. • Obama altered law – Enforcement of eligibility requirements for ACA delayed until 2015. Article. I. Section. 1; Article II, Section 3. • Obama wavered ACA Income Verification Article. I. Section. 1; Article II, Section 3. • Obama altered law – Delayed ACA caps on out of pocket expenses until 2015. (when implemented premiums will skyrocket) Article. I. Section. 1; Article II, Section 3. • Waived Federal provision that prevents U.S. From arming terrorist groups – Article I. Section 1; Impeachable under Article III, Section 3. • Directed State Department HS to ignore law barring entry to U.S. those giving political or charitable aid to known terrorist groups. Article. I. Section. 1; Article II, Section 3. • Obama shelves part of the ACA Law for Insurers, extending the life of non-qualifying (according to ACA) plans until Jan. 1, 2015. Article. I. Section. 1; Article II, Section 3. Violation of the Take Care Clause, Separation of Powers. • Obama waved ACA individual mandate for those that lost their insurance. Article. I. Section. 1; Article II, Section 3. Violation of the Take Care Clause, Separation of Powers. • Obama alters ACA law and exempts companies employing between 50-100 full-time workers from business mandate until 2016. Article. I. Section. 1; Article II, Section 3. • In total, Obama has unilaterally altered ACA 24 times. Article. I. Section. 1; Article II, Section 3. Violation of the Take Care Clause, Separation of Powers. A Constitutional law professor (even their students) should know better. The TRUTH is Obama was not a Constitutional law professor: “under no circumstances would an offer to Obama be tenured.” “The thought that the law school could have made a tenure offer to a person with no academic writing was out of the question.” Former University of Chicago Law School Dean Richard Epstein. Clearly Obama has not respected or protected the Constitution. Obama has broken his oath to preserve, protect, and defend the Constitution of the United States. Article II, Section 1. Note: Executive Orders/Actions by the president were not designed for, nor do they give a president the authority to use as, a means to override or alter legislation or any other Constitutional violation. Executive Orders cannot defy Congressional intent. Respectfully submitted by SilenceDogood2010 this Seventeenth Day of June in the Year of our Lord, Two Thousand and Fifteen. Joseph P. Morgan w/ wife Sara (Not the JP Morgan of banking fame) Click to enlarge. I happened to stumble across a comment on this site. It is on the ‘ABOUT’ page. First time reader…but not the last time! I grew up in the South, sat with my GGrandfather J.P. Morgan (not the JP Morgan of banking fame) who was a boy about 9 during The War of 1861. His father fought for the Confederacy, was wounded and eventually died from complications from his wounds. GGrandpa told me a lot about The War, as he called it, while sitting a rocking chair on our farmhouse front porch as I sat at his feet. What he hold me conflicted with what I was being taught in school and what I read in the history textbooks. 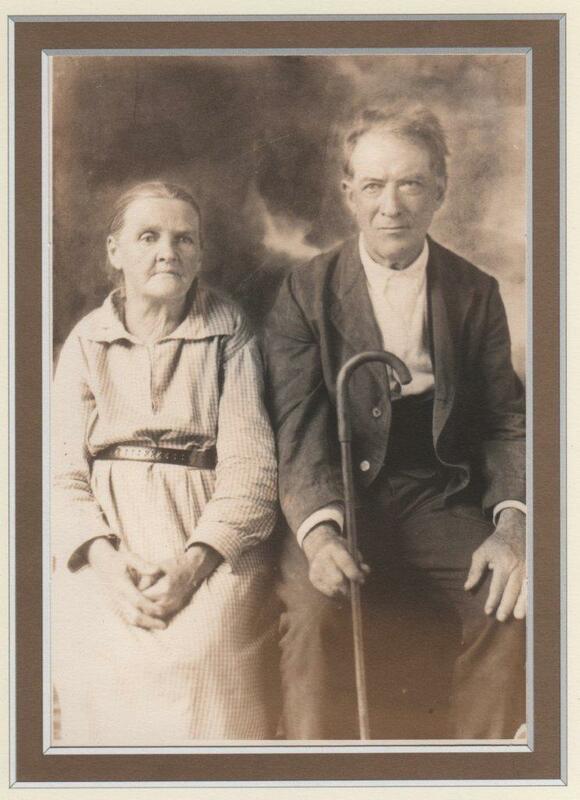 Following GGrandpa death and when I was out of high school and about 20 years old I got to thinking about what the history books and teachers had tried to teach me and wondered why it didn’t match what GGrandpa told me. Out of curiosity, more than anything else, I began visiting libraries and reading history. Finally I came across some period newspapers, found some period documents, and other American period history documentation. Low and behold I quickly learned that what I had been reading and taught was about 99% false. I eventually came to the conclusion that some anti-liberty group was putting out propaganda and lies about America and its leaders’ history. When the real Word Wide Web was invented…not the one Al Gore invented…a world of period documentation opened up to me. I began to devour all that I could read and study. Over a period of my 75 years I learned the true history of America and our leaders. Not until I retired did I find time to begin writing down what GGrandpa Morgan had told me and what I learned about the truth of American history…and boy, was it dynamite to the revisionist propagandists, who I learned were the liberals-progressives-socialists-Marxist faction in America who are working hard to “transform” our free nation into a slave nations as Abraham Lincoln and his pro-industry co-conspirators did in the 1850-1860’s. I couldn’t help but go peruse Mr. Barrs’ site. It is FULL of great links and information. If you have school age children or grandchildren, I would urge you to use this as a learning tool. Respectfully submitted by SilenceDogood2010 this Fourteenth Day of June in the Year of our Lord, Two Thousand and Fifteen.